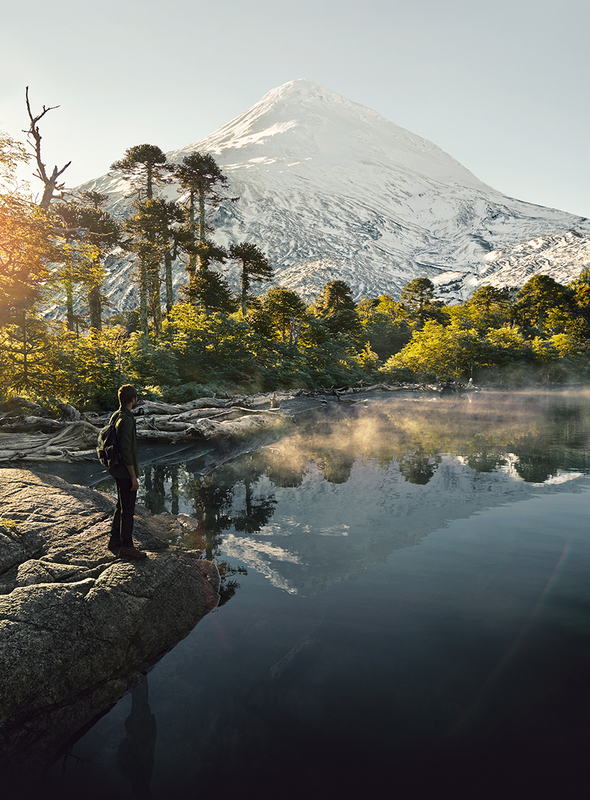 Montblanc launches Power to Reconnect with Nature campaign. It was in November of 2017 the Montblanc brought a select group of journalists to Jackson Hole, Wyoming, to discover the brand’s newest directions in timepieces. One of the big messages: a return to nature. The brand was unveiling watches at the SIHH 2018 that would highlight mountain climbing, hiking and more. This year, with its newest 2019 SIHH introductions, Montblanc continued that theme. Additionally, the brand has just launched an exciting new marketing campaign that highlights the importance of reconnecting with nature via adventure and outdoor exploration. 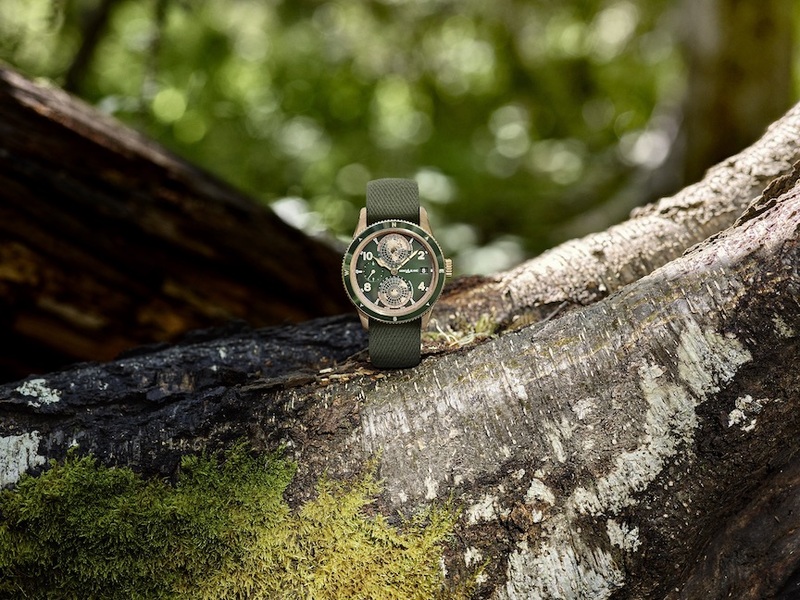 To create the “The Power of Reconnecting Through Nature” campaign, Montblanc turned to two professionals — fashion photographer Dennis Leupold and musician and songwriter Kristian Matsson — who each venture outside with an 1858 watch. One of the watches featured in the new Montblanc campaign is the 1858 Automatic Chronograph. The idea is to showcase an individual’s journey of self-discovery and place in the world. Each of the two real-life successes is photographed without their faces being visible until the end of the videos. There are also two different 1858 watches being highlighted, including the new version of the beloved 1858 Geosphere and the 1858 chronograph — both of which pay homage to the early precision chronographs made by Minerva in the 1930s. The other watch featured in the Montblanc campaign is the 1858 Geosphere world timer. 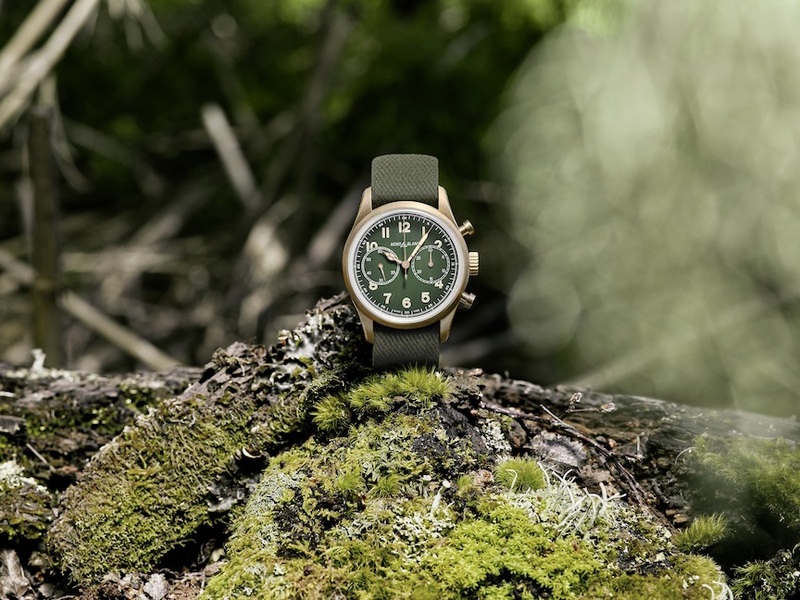 The 1858 Geosphere world time watch that is highlighted in the campaign is made with a bronze case, features a khaki-green dial and is finished with a matching NATO fabric strap. It features two turning hemispheres on the dial, one at 12:00 (for the northern hemisphere) and the other at 6:00 (for the southern hemisphere). Each also features a day/night indication. In addition to hours, minutes and date, the watch displays a second time zone and a separate second-time-zone corrector. The local time and home time are set directly from the crown. The watch is equipped with a compass bezel making it ideal for the great outdoors. An in-house-made mechanical movement that has been certified as passing Montblanc’s 500-Hours testing powers it. It retails for $6,300. The 1858 Automatic Chronograph is also highlighted in the campaign. That watch, also with green dial and strap, retails for $5,000.